Call it Japanese refinement. Call it art. But there’s no doubt the all-new Lexus LS flagship luxury sedan is a stunning piece of work. The model it replaces is 11 years old, so this is something that was desperately needed. 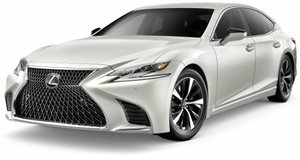 However, Lexus took its time to get the new 2018 LS just right, both in terms of engineering and design. Chief designer, Koichi Suga, gave us a private walk around tour of the LS at Detroit and we marveled at the car’s tiniest design details. Suga noticed our appreciation of this and proudly pointed to that large, spindle front mesh grille and said, "You see that pattern? We spent three and a half years perfecting that." 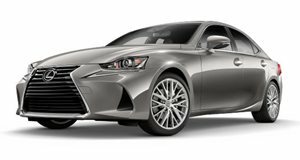 Yes, it took Lexus three and a half years to finalize the design of just the front mesh grille, and if you take a closer look you’ll get a better understanding as to why. It is a piece of fine art. Suga further explained that his team "started with the standard spindle grille, like what you see on the LX and its simple cross bar pattern, and refined the design." CEO Akio Toyoda was personally involved in the design process of the entire car, so what you see, including the mesh pattern, has his official stamp of approval. Even inside the 2018 LS and you’ll observe many, many other fine details like the door speakers, which have sort of a leaf pore pattern, inspired by nature. As opposed to, say, the IS, the LS has much more overall organic feel that doesn’t try as hard. That edgy Lexus design language has now involved into something more refined than ever and we think it’ll now generate even greater appeal. For an automaker who stresses the details, such as a multi-year approval process for the mesh grille alone, Lexus prefers to take its time to launch something new rather than to rush it and regret it later.